The following is a guest post about car insurance. If interested in submitting a guest post please read my guest post policy and then contact me. It is not only prudent to have automobile insurance, but automobile insurance is necessary for the use of any vehicle. By paying monthly premiums and depending upon individual factors that can cause rate variability, considerable savings can be gained in the event that there is an accident. 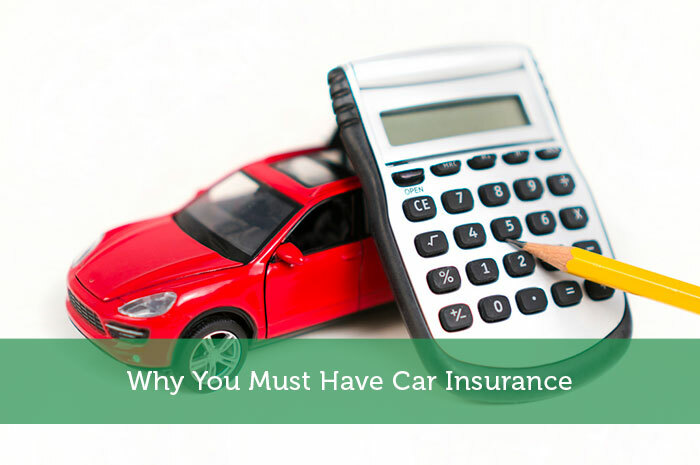 However, there are several other benefits to having car insurance. For instance, peace of mind. Having car insurance can help to put worries at ease because it provides a financial safety net that can save thousands of dollars. Vehicles cost a lot of money. City signs and equipment can be expensive when damaged. Accidents that cause damage to vehicles, city property and people can cost thousands of dollars to repair. Vehicle insurance can cover the cost of medical expenses should there be an injury resulting from an automobile accident. Car insurance companies are also equipped with in-house lawyers should their services be required. Vehicle insurance safeguards a policy owner from having to spend hundreds of thousands of dollars. Without vehicle insurance, a person could end up being in debt for their entire lifetime. Another plus that may be additionally added to a vehicle insurance policy is roadside assistance. Roadside assistance can be handy in a variety of ways. For starters, if a car breaks down, roadside assistance helps to tow the vehicle for a certain number of miles. Without roadside assistance, such a trip can easily cost in excess of $200. Roadside assistance can provide a jump to a car when the battery is dead, bring a couple gallons of gas and help to open car doors when the keys are locked inside. Besides car assistance, roadside assistance can help a stranded driver get to safety in the event they’re in dangerous conditions, such as a snow storm. Roadside assistance is an invaluable service that saves time and money. In addition, car insurance can help policy owners avoid getting lost on road trips by supplying maps, guides and other forms of direction guidance. While car insurance certainly saves time and money in the event of an accident and car problems, certain policies provide additional perks. For instance, depending upon the policy chosen and features available, vacation discounts can provide steep savings in airfare or vacation packages. This may include hotel accommodations, recreational activities, transportation and discounts on dining. There are other discounts available, such as dining at restaurants and store memberships. Particular policies can mean savings on homeowners’ and other forms of insurance as well. A popular trend groups together various types of insurance for sweeter savings. This is referred to as “bundling.” When separate forms of insurances are combined to bundle them, each portion of the policy that covers these items, such as a house or car, are reduced in price. All good points, plus it’s illegal to drive in the US without car insurance. There are a surprisingly large number of people who don’t have insurance at all so having this protection is great for my peace of mind. Then there’s hit and run drivers. No matter what happens if you have comprehensive insurance it’s covered! Either way, if you’re a safe driver (haven’t been in any accidents), you can seriously work your way down in insurance costs. I’ve found that Geico is one of the cheapest in the States. Car insurance is definitely a must to have as a car owner. When you are driving without a car insurance it’s just like you don’t even know your name. I always get confused about car insurance. I live in NYC so I only drive only a few times a year when I’m at home with my parents. What am I supposed to have? Check into putting your car in storage status. I have a work truck I only use in the summer that is in storage 8 months out of the year saving me a few hundred dollars during that time. One of my friends had the idea to go through life without any car insurance only to wind up in a head on with another car. It was on account of black ice so the other driver did not press charges. My friend was not covered with insurance in the least however, and had to pay all of the bills and vehicle replacement costs out of pocket. Here in Europe one thing to keep an eye on is insurance for married couples. If you are married and the car is in the man’s name. If a divorce were to occur then the no claim bonus for the wife would be zero !! I think its not the question of why you must have a car insurance policy. Driving without a policy is illegal in most countries and if you are caught, you end up paying the cops the amount which would have almost covered you for an year. So its better to invest in your safety than pay fines.